Gannets have air sacs in their face and chest. 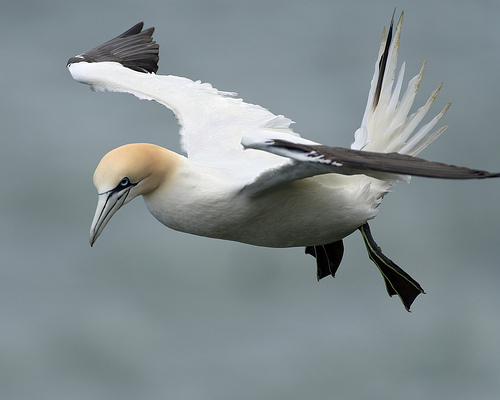 These reduce the impact when gannets dive at high speed into the sea – they act like car air bags to cushion the blow. Why they have a guy diving head first into a giant telephone is beyond me. 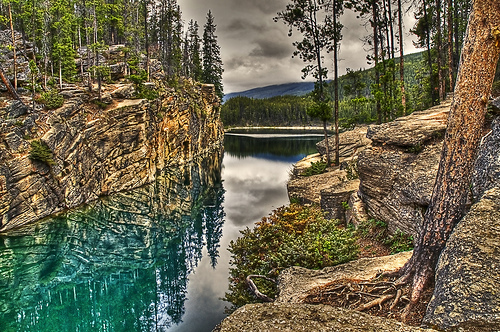 This photo was taken at Horseshoe Lake near Jasper, Alberta, Canada. 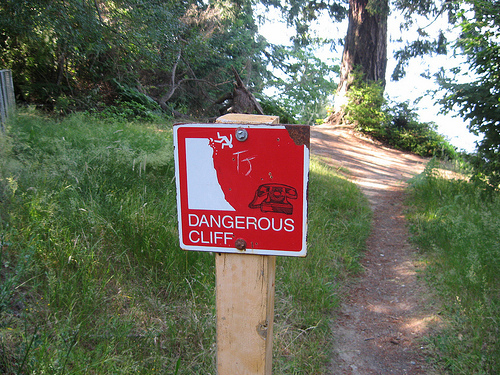 Many times our family have hung out here on a warm summer day diving from the cliffs.